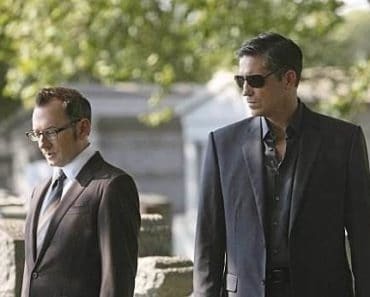 That’s a line spoken by Harold Finch to John Reese at the start of the episode as the duo reconvene at their former HQ following last week’s vicious system infiltration from female hacker extraordinaire, Root. It would be easy to just write that off as one of many similar lines that Finch has spoken in the past except for the fact that by the end of this episode everything that we think we know about Harold Finch starts to crumble when Reese is exposed to some shocking truths about his past. Before we can get to all of that, the first order of business is this week’s POI case. Sometimes the Machine can’t get Reese and Finch on a case in time to prevent one crime, but it certainly can put them in the right place to prevent more violent fallout. This week Reese found himself with a sidekick of sorts in fourteen year old Darren McGrady whose older brother Travis had been murdered by three neighborhood thugs. After Darren ‘�hires’Reese they move along the chain of command in order and stumble onto their boss, Andre, a local comic book shop owner. He’s running a local scam and part of that money is even being handed off to the chief of police in a nice little callback to the overall theme of corruption in the city’s police force that’s been prevalent all of season one. Reese pulls out most of his favorite tricks in this episode as he tries to help the kid cope with his loss while keeping him from falling prey to the lure of finding revenge for himself. We get Reese slamming cars into other cars, handling rather large firearms even if they’re only loaded with beanbag rounds, and of course playing the unhinged mystery man as he uses his unorthodox methods to get his information. 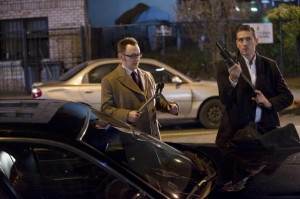 In particular the scene where Reese takes a blowtorch to some marked money in front of one of the thugs involved�you really can’t be sure that he wasn’t going to use it someplace other than on the man’s boss’s cash. 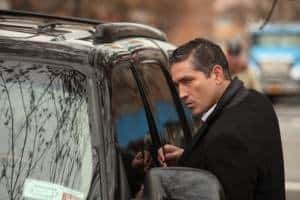 That’s due not only to Jim Caviezel’s always entertaining crazy-eyed soft-spoken performance, but also to the excellently tense musical stings throughout that imbued the scene with an effective tone of unpredictability. 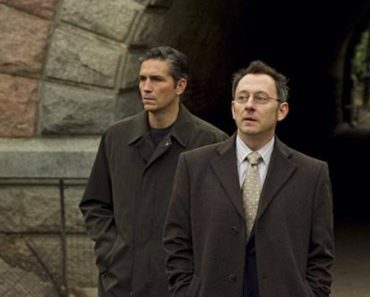 Overall, the POI case was able to stand up well to the rest of the story in the episode. The relationship between Reese and the kid, who clearly relished the chance to be like a character in one of the many comics that he reads and draws, had some good chemistry. Plus the title of the episode and corresponding storyline was a bit of an homage to the graphic novel Lone Wolf and Cub as there are some similarities in Reese and Darren’s path of revenge. It’s been interesting to see how into the idea of the mythic quality of Reese as a character the writers have been throughout the season. You have to appreciate a show that isn’t afraid to have such a slightly obscure homage, or use allegory freely in their storytelling. It’s part of what makes this series far more than just a crime procedural. One thing’s for certain about John Reese however, everyone should be so lucky to have someone like that in their lives following a tragedy. It’s harder now to say the same about Harold Finch since, well, there is no Harold Finch. While Reese is playing at vigilante hero, he’s also enlisted the assistance of Detective Fusco to follow Finch who’s been acting even more secretive than usual lately. 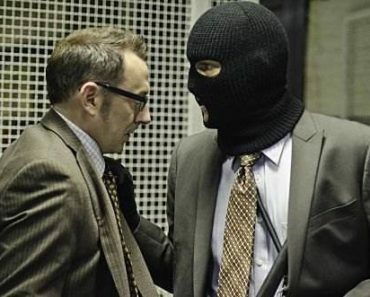 Fusco follows Finch as he meets up with his ex business partner’s son, Will, who absolutely refuses to drop his questions about his father’s business deal with the government. There was this palpable feeling from Finch as he watched Will get far too close to the truth of his own involvement in the machine. It was a feeling that assured the audience had Will pushed and found even one more kernel of truth, Harold would have acted despite the fact he clearly cares for Nathan’s son. After Will met up with a former government worker, who since her resignation has lived completely off the grid for the past year, he mentioned Harold’s name to her as part of his father’s project. 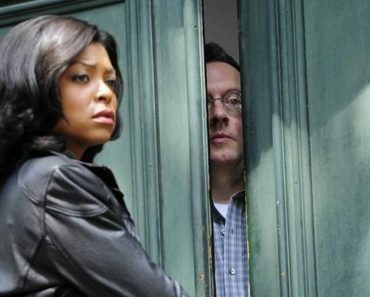 She flips out and quickly leaves so there’s the first clue that something is not okay with Harold Finch. Or should I say, Harold Wren? Fusco meets up with Reese in the final moments of the episode and starts to let him in on a few things we knew from flashback sequences such as the nature of Nathan Ingram and Harold’s long-standing friendship and partnership. But this all happened under the name of Harold Wren which also seems to be just one of many (hopefully all bird-related) aliases ‘�Harold’has held over the years according to Fusco’s investigating. Just when it seemed that Reese was able to trust Harold, everything is now on its head as we’re left to really start to wonder if Harold Finch is even worth trusting at all. He’s lying about his name, he may have been involved in the death of his business partner, and he gets very twitchy when Reese directly questions him about the nature of the machine itself. Even though they’re helping people, it all really begs the question of what exactly Reese and detectives Carter and Fusco have gotten themselves into by being involved with this. What are Harold’s true intentions in seeking out Reese and starting him on this path? Though Will Ingram couldn’t find the truth, I’m pretty positive that John Reese won’t take well to being lied to, or be so easy to stop when he keeps digging into the past of the man with the machine. Television-obsessed fledgling pop culture blogger. Fan of flawed characters and the drama they create for themselves while we watch and enjoy at home. Great review. The episode is really good actually. 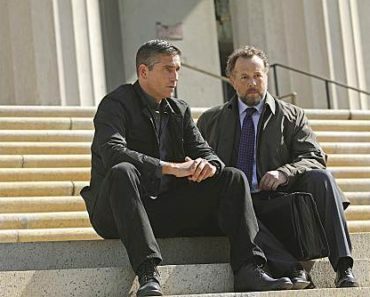 I think Finch is more danger than Reese and Fusco expect. Now the machine is monitor Fusco and maybe Reese so i see a storm is come. Who is Edward Stewart mentioned in the closing credits? Finch and Darren speak of a quote from a book. Sounds like something Zen. What was the book or writer? Art of War by Sun Tzu. whats the music at 26:10, when reese drives into the car of the two thugs.